For a trouble-free move to Ontario, Meathead Movers is the company for you! Our professionally trained student-athlete movers are ready to get you into your new Ontario home. Ontario hosts a busy cargo airport and is only about 35 miles from downtown Los Angeles. Even though the city has a strong manufacturing base, service industries like UPS have flourished in the area. Ontario also hosts the Reign, which is a minor-league affiliate of the National Hockey League’s L.A. Kings. Whether you are moving to Ontario for better employment opportunities or for other reasons, you’ll want to check out what services Meathead Movers has to offer. After comparing us with other Ontario movers, you’ll see that our company is the clear industry leader. Our moving company specializes in local, long-distance, and commercial moves to, from, and within Ontario. All our Ontario movers are clean-cut, drug-free, non-smoking student-athletes who are trying to earn some extra money for college. We screen our movers to find the most polite, respectable, and dedicated individuals to help you with your move. Our movers are put through our rigorous Meathead training school before they are even allowed on our trucks. Once they’re on-site, our movers will show you our trademark Meathead hustle. When our Meatheads aren’t carrying your items to or from the truck, they’ll jog to where they need to be next. We understand that moving can be stressful, so we try to do all we can to help you out. If you’re too busy to pack, our sister company, Princess Packing Services, will take care of the job for you. The ladies of Princess Packers are professionally trained as packers, and they can provide a gentle touch that some of our Meatheads just can’t replicate. We also offer our signature moving concierge service to all our clients. If you need a carpet cleaner, electronic technician, maintenance worker, landscaper or any other worker who can help make your move easier, we have a list of Meathead-approved companies that can help you out. 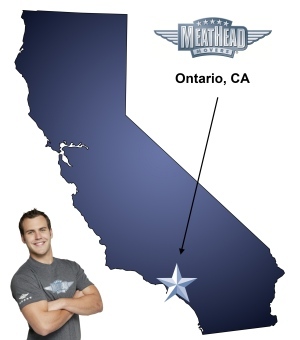 If you’re planning on moving to Ontario, be sure to give Meathead Movers a call. Our friendly staff will be more than willing to give you additional information about our services or provide you with a no-obligation, free moving quote. We also offer a 100% satisfaction guarantee. How many other Ontario movers can say that? Moving to Ontario? Here are some helpful resources. everything! great professional yet personalized service. Very accomodating! My movers were incredible! Also, I was very impressed for they type of training you guys do how you help out domestic violence. Very efficient quote and scheduling process. In our case from our initial questionnaire completed online to the docusign to secure the services took less than 30 minutes. Both of our movers truly were student athletes, both working this summer job while still in school. Bright, polite and hard working young men. They did everything I asked them to complete. Well done. This was my second time using Meathead Movers in the past 5 years. Service is top notch and I am always impressed at how all of your workers go above and beyond the call of duty. On time, nice guys (and strong! ), detailed procedures throughout the move.